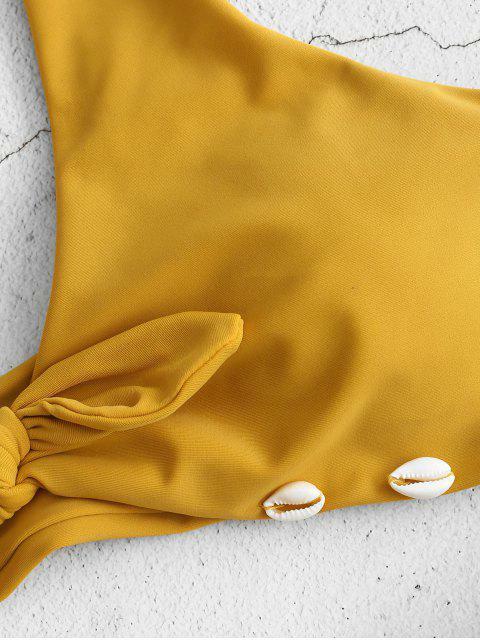 [42% OFF] 2019 ZAFUL Braided Seashell Knot Bikini Set In GOLDEN BROWN | ZAFUL ..
With adorable seashells adding much fun, this solid bikini set grabs the eyes and hits the sunny beach. The plunge bra has a self-tied knot on the front and round sponge pads for lift. And the low rise briefs are designed with braided straps at sides showing lots of sexiness.